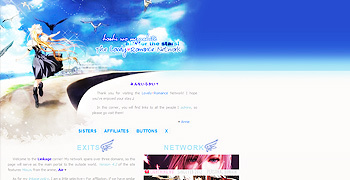 I am proud to present my shiny new domain, Lightning.nu, named after the fierce goddess from Final Fantasy XIII ♥ I’m hoping to get the domain up by spring, and it will serve as my new main domain, to replace cradle-robber.net. – Buttons: Made 8 new 88×31 link back buttons. Overture: Decided to keep the current Corda design. Linkage: Decided to keep the current Air design. I’ve decided that I will not renew my personal domain, Cradle-Robber.net, and plan to let it expire in April 2012. 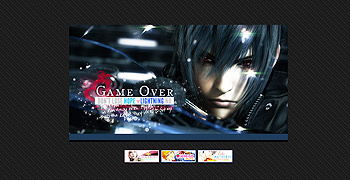 It was my very first domain from 2004, so it will always hold a special place in my heart. However, it’s time to move on from that domain so I will turn Ichigo.nu into my main domain for the time being. – Network: Move in the Overture Updates Log. I created this update log back in May 2009 as a place to record all site-related updates in one place, and it’s about time I debut this site! 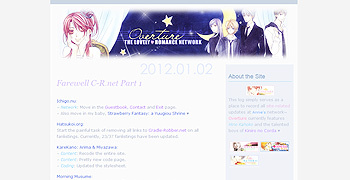 I finally gave this blog a name and a proper design, so I present Overture~! – Coding: Switched to pretty permalinks, went through my old posts to fix up the tags and content. – Buttons: Made 13 new link back buttons for the collective. – Also updated my old buttons over to the new style that I’ve been doing.